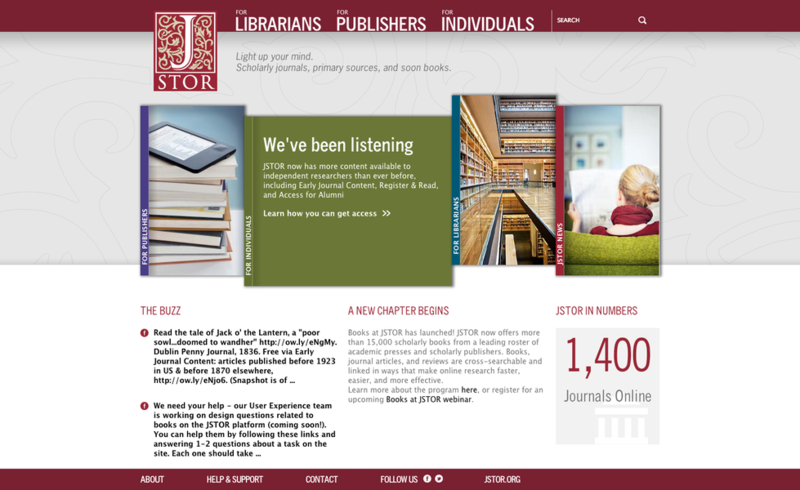 JSTOR is a nonprofit organization with a dual mission to create and maintain a trusted archive of important scholarly journals, and to provide access to these journals as widely as possible. 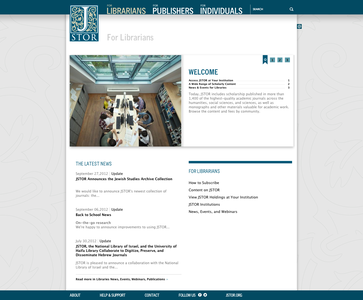 JSTOR offers researchers the ability to retrieve high-resolution, scanned images of journal issues and pages as they were originally designed, printed, and illustrated. 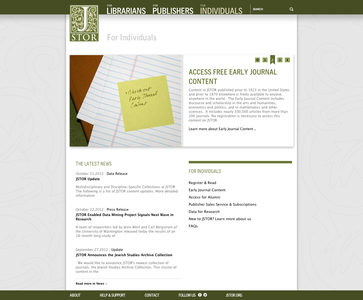 JSTOR was in need of a visually compelling and compliant interface design to convey its leadership as a provider of digital journal content for the scholarly community, defined as three primary audiences, and came to CGP to enhance their online presence with a website that is user-friendly, aesthetically pleasing, and visually and functionally contemporary. 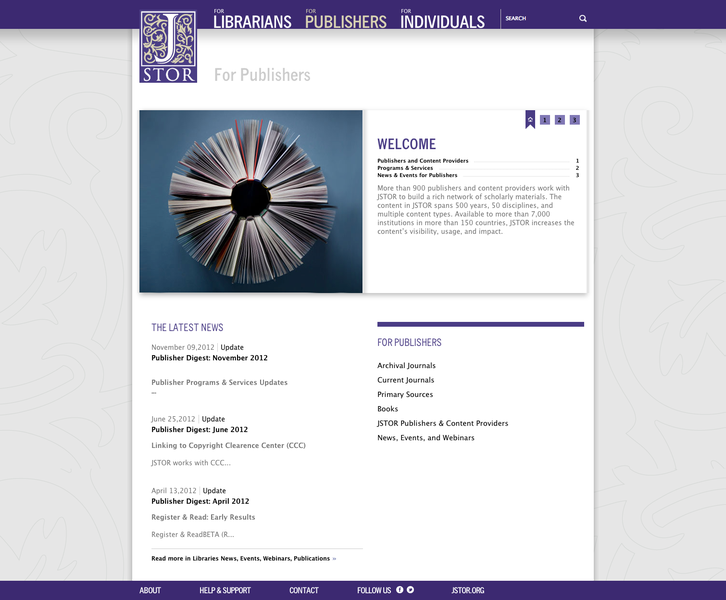 This redesign focused on pushing content offerings in a cleanly accessible route. A robust “Content on JSTOR” section honed on a primary user (librarians) and clearly breaks out all content types to the title level through database hook ups. The framework for this is flexible for future content introductions, such as the recently released “Books” area.